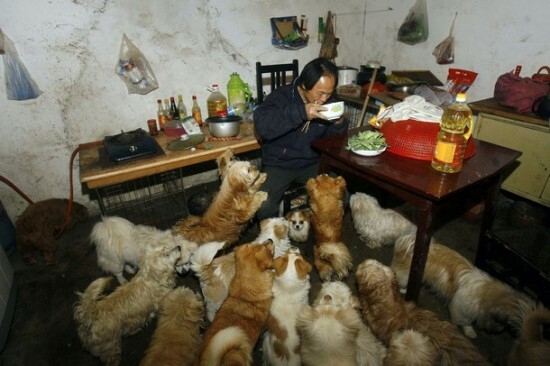 Li Zongwen, a former chef from Wuhan, has made online headlines after Chinese media discovered he has taken in 140 stray dogs from the outskirts of the city. 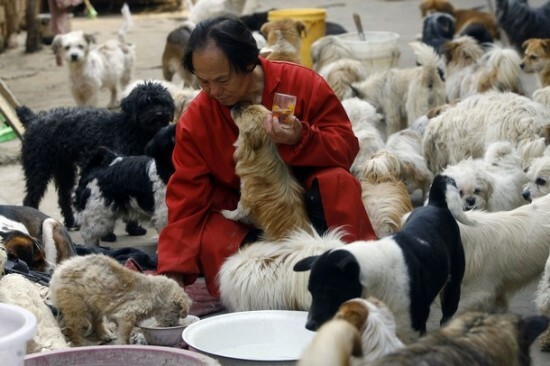 The 59-year-old man began adopting strays from the streets of Wuhan in 2009, and in just two years time he has taken-in an impressive 140 hungry dogs. He put a roof over their heads, but admits he couldn’t afford to feed all of them, without donations from other local animal lovers. Food and rent for Mr. Li and his big family of canines cost around 5,000 yuan ($760) which is way more than he could pay on his own. Although sharing a home with 140 animals isn’t exactly an easy task, considering the noise he has to put up with at night, and the considerable mess he has to clean up after them, Li Zongwen doesn’t complain. On the contrary, he likes having them around as he prepares a big bowl of dog chow, using a garden shovel, and even eats his own meals in their company. Maybe he should get in touch with Ha Wenjin, the woman who looks after 1,500 stray dogs and 200 cats, I’m sure they have a lot to learn from each other. There has always been a lot of controversy regarding the way Chinese people treat dogs and cats, especially with gory videos of dogs being violently killed and prepared as food, but in reality, but people like Li Zongwen are proof that things are changing in the far east. 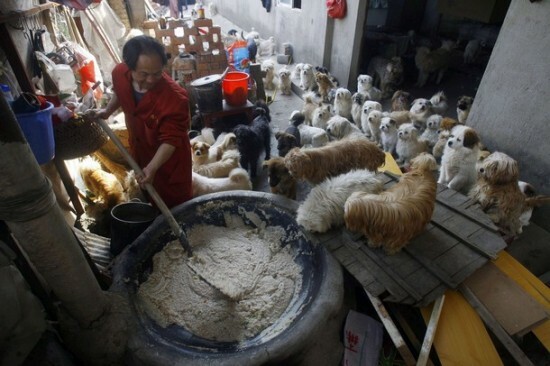 For centuries, most Chinese people have been too concerned with feeding themselves and their families to waste food and affection on animals, but in recent years their attitude towards dogs has been gradually changing.